A forklift can make most businesses more productive. Whether it’s transporting stock or supplies, there’s a forklift for you. But if you only need one for a certain period, or if there’s extra work during seasonal peaks, this is where forklift hire comes in. Choosing the right hiring option can be determined based on duration and whether an operator is required. In terms of duration, there is short-term hire or long-term hire. A short term hire period can start at a day, and go for a period of days, week or months. As an example, a business that has one container can hire a forklift for just 1 day to unload the container. A long term hire period can span from one to several years. 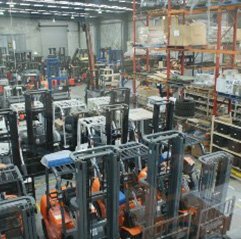 As an example, a warehousing business might choose to hire a forklift for a fixed term of 5 years. Dry hire is the option most people are familiar with – this involves only hiring the forklift. Wet hire – on the other hand – includes a licenced operator who handles the machine for the duration of the hire period. Each option has a variety of factors that you need to consider, along with choosing a reputable forklift dealer to help you make the right decision. Whichever decision you make, forklift hire is 100% tax-deductible, and will usually come fully maintained, meaning repairs and maintenance cost are factored into the rental rate. Alleviate extra workload – you can quickly mobilise one, two or ten additional machines during your business’ peak periods, eliminating any potential risk of downtime. Available at short notice – you can hire a forklift without much wait so you are covered for even the most unexpected peak periods or increased workloads. Hire by the week, month or day – having the flexibility to choose your period is a good solution if you have a broken down forklift and have an expected turnaround date on your machine’s repairs. Replacements available within 24 hours – some providers will be able to turn around a replacement in a day or less, reducing downtime in your business. All forklift maintenance is included with short term hire. A trusted dealer will provide well trained technicians to attend to maintenance issues. 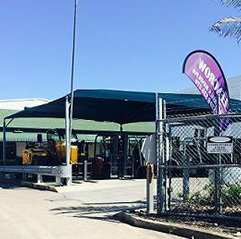 Most forklift dealers will provide a breakdown service – 24 hours a day, seven days a week including support on public holidays. With the maintenance cost included in the hire, you will be able to control expenses and cash flow for your business. There are two important things to bear in mind when it comes to short-term hire – it can be more expensive than a long-term hire, generally, the weekly rental rate will be at a premium, and you may not get the exact type of forklift you want. That’s why as part of researching the best hire term for your business, you need to find the right forklift provider that can confidently assess your business’ needs and give you a solution which works, despite any limitations on the forklifts available at the time. This said, there are many forklifts which perform well for multiple applications, so there will always be a forklift available to help you complete the job. Better rates – you can gain access to more affordable rates with a long-term hire which is a bonus for any business. Off your balance sheet – all forklift hire is 100% tax deductible and while this also applies to short-term hire, your accounting team will be glad that admin is minimal. Greater control of expenses – you can enjoy greater predictability in your cash flow with a set long-term hire. Hire terms can be made to suit your business by tailoring the term to the lease of your building. A good forklift provider will offer this option to ensure that you are never paying for a machine that you do not need. Should your hire forklift breakdown at any time, you are generally entitled to a replacement forklift within 24 hours to avoid downtime in your business. All you have to do is get in contact and notify your forklift dealer to arrange for a replacement at no extra cost. The major cons for long-term hire are simple – it’s a much longer commitment, and not as flexible as short term hire. The reality is that you may not need the forklift for a long as you think, resulting in a break-in-contract fee. Always address your forklift provider if you have any questions or concerns so you have a clear understanding of your agreement. We strongly suggest taking it to a solicitor and let them go over the terms and conditions as well. No matter what way you need to hire a forklift, Lencrow Forklifts will offer a solution to best suit your business needs. 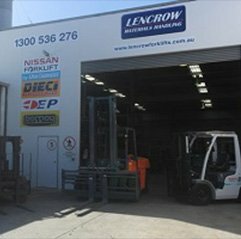 Lencrow Forklifts has been an Australian owned business for more than 40 years, we don’t just hire fork trucks, we partner with your business to provide solutions. 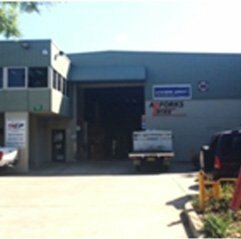 For a free onsite inspection with one of our consultants, call us on 1300 536 276 or click on the link below. Ross founded Lencrow Group with his father back in 1976. Since then Ross has built a nationwide business, pioneered new technology and services in the materials handling industry. Ross is an industry veteran, an advocate for vocational training and a fountain of knowledge on all things mechanical. Need a materials handling solution? 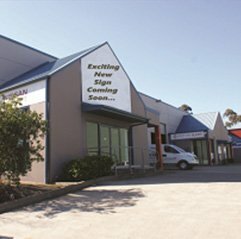 We are Australia’s largest and most trusted independent forklift supplier providing sales, rentals, parts and servicing.